Liu Kang follows the teachings of the Shaolin White Lotus Society and was sent by the Temple of Light to defeat Shang Tsung. He desired to defeat Shang Tsung and bring the tournament back to its Shaolin owners. 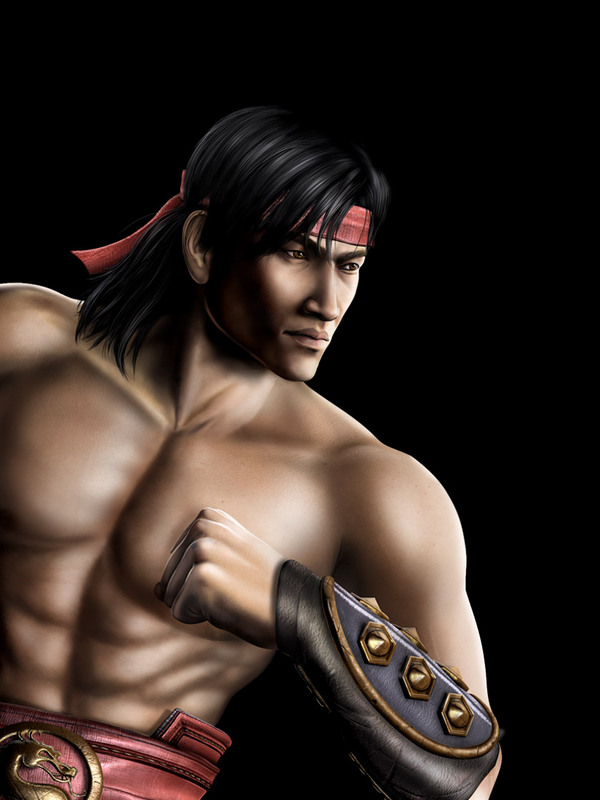 Liu Kang was trained by Master Bo' Rai Cho, who taught him the Flying Kick. As he made his way to the tournament, he met and became friends with Johnny Cage and Sonya Blade. 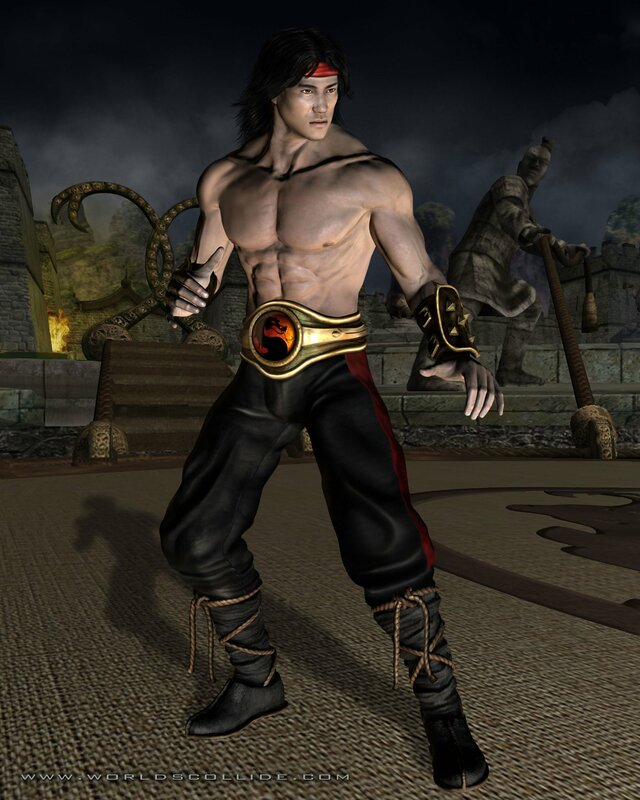 At the time of Liu Kang's entry, Outworld had won nine Mortal Kombat tournaments in a row. 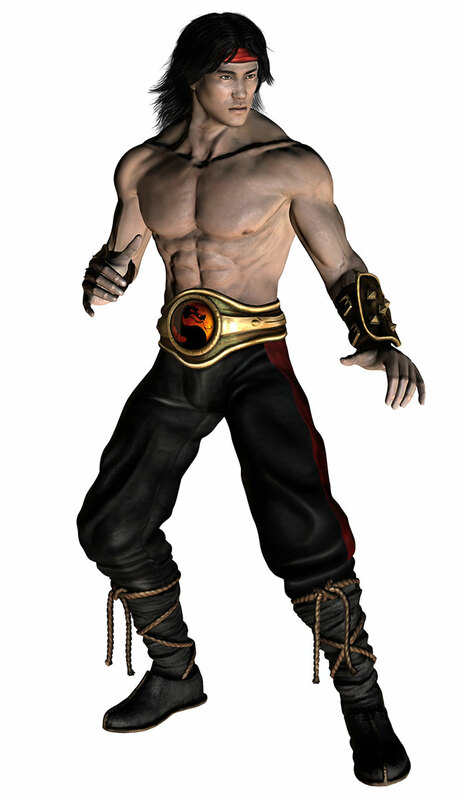 Upon hearing of Goro's defeat, Shang Tsung challenged him. After an epic battle, Liu Kang defeated Shang Tsung with his Flying Kick, emerging as the new champion of Mortal Kombat. Coming home from Tsung's island, he found many of his Shaolin killed in a vicious attack by a Tarkatan horde. Enraged, Liu Kang decided to travel to Outworld, backed by fellow White Lotus member and spiritual brother Kung Lao, Raiden, Sub-Zero's younger brother, and Smoke to seek revenge. Before he traveled to Outworld, Liu Kang went to Hollywood to seek Johnny Cage's help. Luckily, Liu Kang arrived at the right time as Cage was being attacked by a Tarkatan horde. Now joined with Johnny and new-found friend Jax they finally traveled to Outworld. At the tournament, he and Kung Lao met Kitana, and Liu Kang began to fall in love with her. 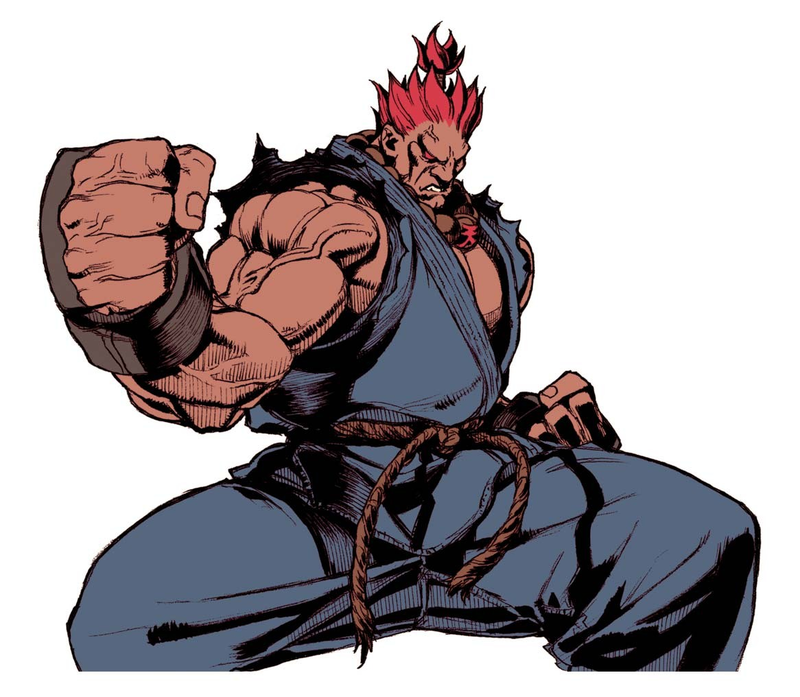 He learned the true nature of the Outworld tournament but competed anyway. While it is unclear as to what matches took place, it is known that Liu Kang fought Shao Kahn, eventually overpowering the emperor. 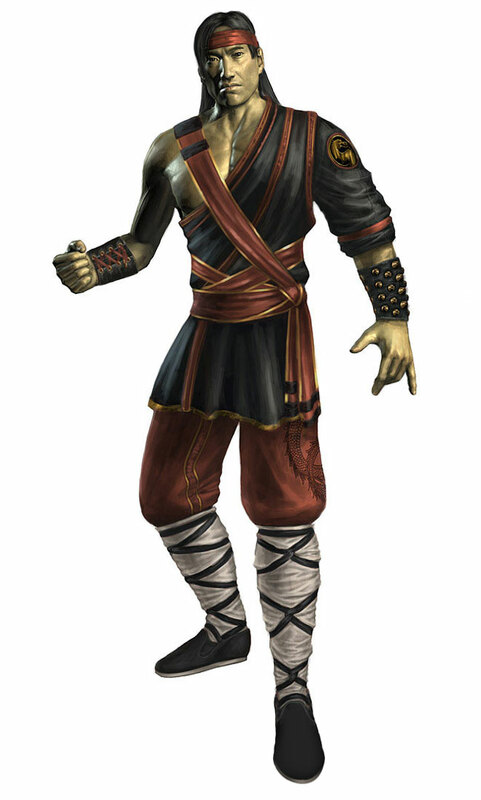 It is also strongly possible he also faced Shang Tsung in front of Shao Kahn, defeating him despite his youth and renewed powers, and Kintaro as well. Near defeat, Kahn ordered his forces to destroy the earth fighters, forcing Earth's heroes to return home and to begin preparing for the coming invasion. 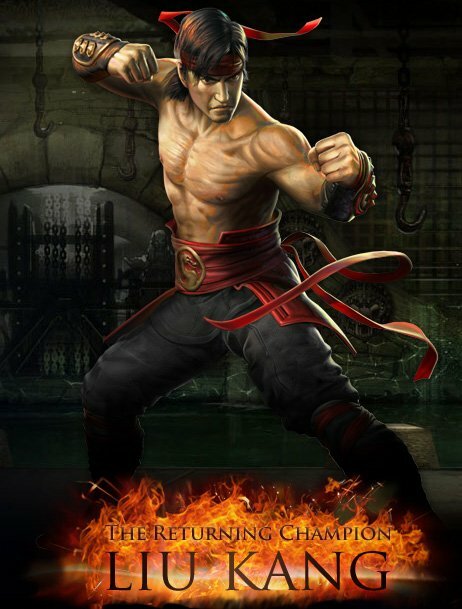 After returning to Earthrealm, Liu Kang, along with Kung Lao, began training a new generation of Shaolin Warriors, but was interrupted when the invasion began. As Kahn's extermination squads were sent to kill Earth's chosen warriors, Liu Kang found himself the primary target. 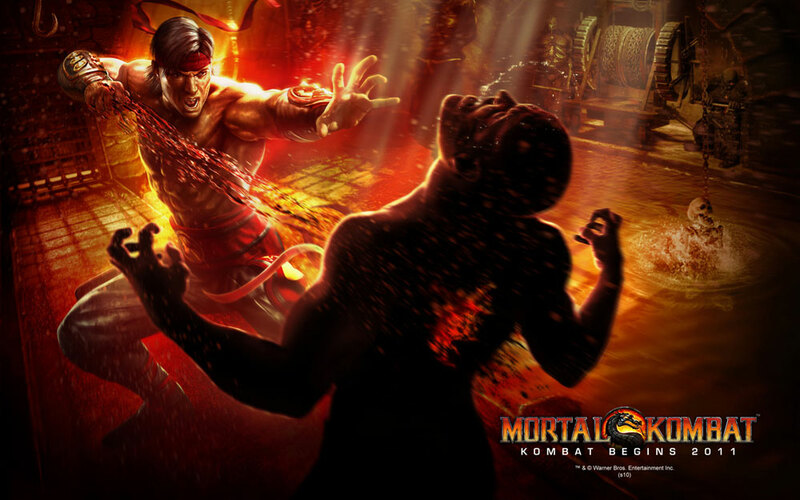 Kung Lao who went against Shao Kahn was nearly beaten to death. 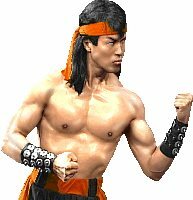 Enraged, Liu Kang, who thought Kung Lao perished, challenged the Emperor to Mortal Kombat, and after the final battle, he defeated Shao Kahn again, causing him and his forces to retreat back to Outworld. The souls that Khan had trapped were set free and, just before the portal closed, Liu Kang was thanked by Kitana for his part in saving both Earth and her realm from Shao Kahn. Liu Kang traveled to America to look for a new generation of Shaolin warriors to train. While there in America, he met his old friend Kai. The two then travelled back to China, where Liu Kang trained Kai to be a Shaolin Warrior. However, the peace was not to last, as the fallen Elder God Shinnok had escaped from the Netherrealm through a portal to Edenia. Upon learning that Kitana had been captured, Liu Kang set out on his own to save her, but he was unsuccessful. Liu Kang returned to Earth, where he began gathering Earth's warriors to save Earth and assist his mentor, Raiden. Eventually, Liu Kang confronted the fallen Elder God Shinnok and once again emerged victorious, effectively ending his attack on Earth. Liu Kang returned to the Shaolin Temples, believing he has lost Kitana forever. However, the Edenian Princess appeared through a portal from Edenia and thanked Liu Kang for all he had done. She offered him a chance to join her at the throne of Edenia. 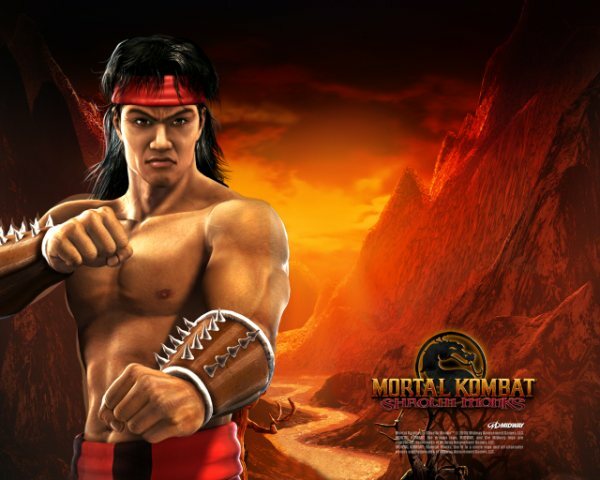 However, due to the responsibilities as a Mortal Kombat Champion, Liu Kang was forced to decline her offer. For some years, Liu Kang went on to enjoy relative peace. 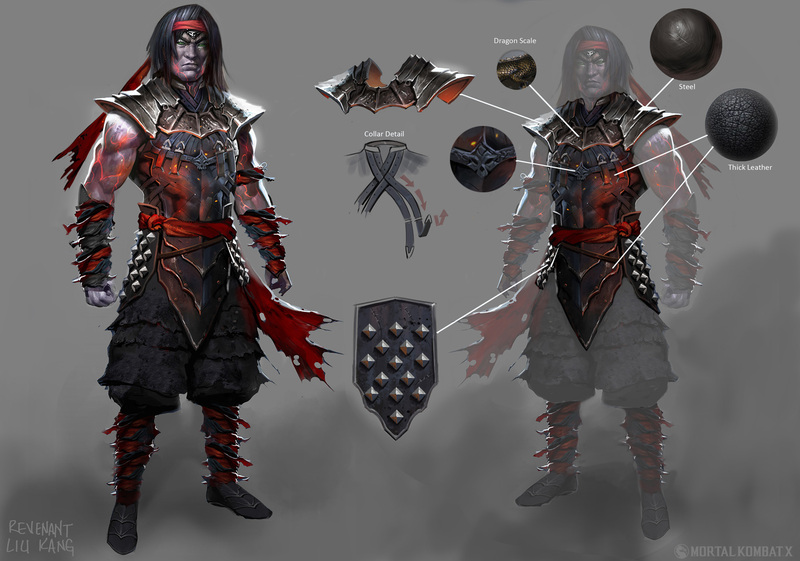 However, the Deadly Alliance would make itself known on Earth by its successful assassination attempt of Liu Kang. Shang Tsung posed as Kung Lao and snuck up on the champion as he was practicing his katas. 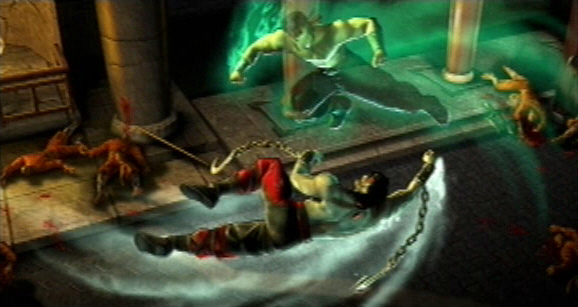 Shang Tsung was assisted by Quan Chi, who caught Liu Kang in the back unawares with a projectile. Shang Tsung used this distraction to gain the upper hand and snapped Liu Kang's neck and proceeded to consume his soul. 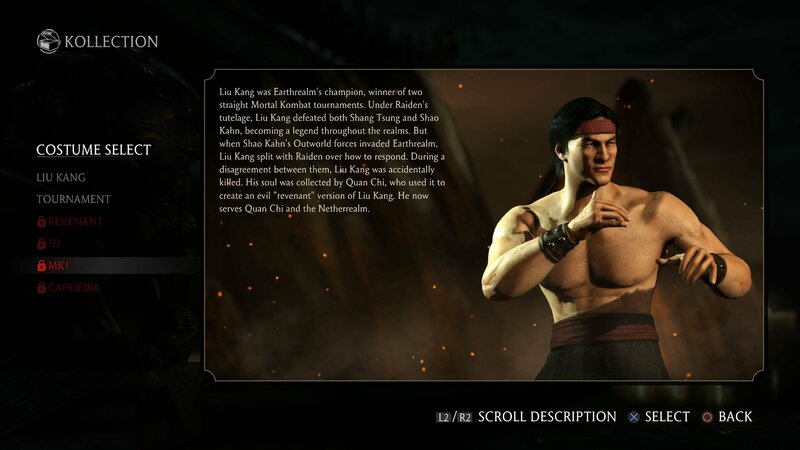 Liu Kang's mutilated body was discovered by his friend Kung Lao, and he was laid to rest at the Wu Shi Academy, where a shrine was built to honor him. 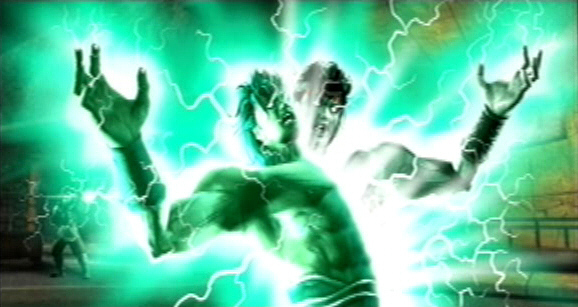 In the culmination of the events of Mortal Kombat: Deception, Raiden released his godlike essence in order to destroy Onaga, killing Shang Tsung and presumably Quan Chi in the process. 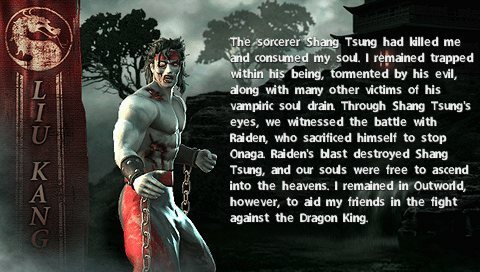 While it is unknown whether or not Quan Chi and Shang Tsung are truly dead, it has been established that the thousands of souls that Tsung consumed in the past were released, including that of Liu Kang. Furthermore Raiden, now somehow corrupted in his reformation, reanimated Liu Kang's body and sent it on a rampage, slaughtering many of Liu Kang's fellow Shaolin monks. 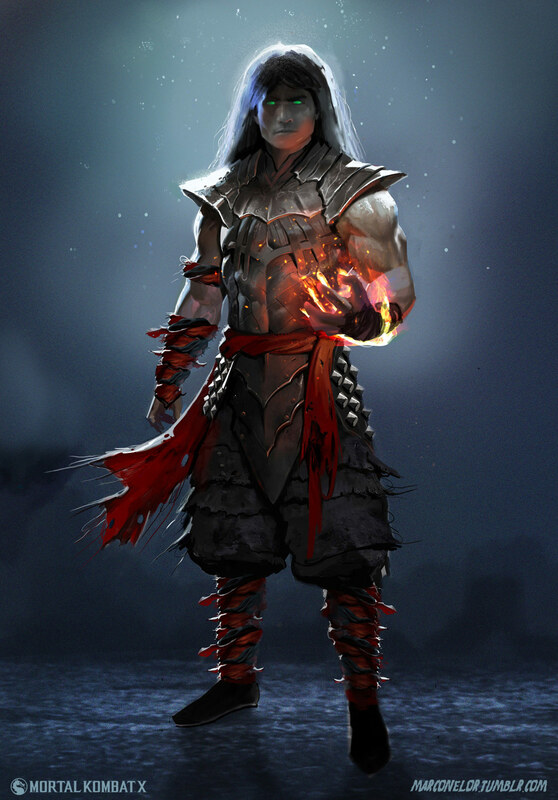 Liu Kang's spirit decided to stay in Outworld to assist in the war against Onaga, but he soon discovered his body's "resurrection" and was stricken by what he had done. 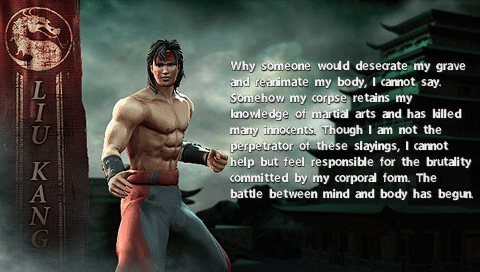 Although Liu Kang wasn't technically responsible, he couldn't help but feel responsibility for the actions committed by his corporeal form. He also learned about his comrades (Jax, Johnny Cage, Sonya, Kitana, and Kung Lao) and how they had been enslaved by Onaga. From there, Liu Kang enlisted the mysterious ninja Ermac as an ally and had two missions to complete. The first was to try and save his friends from Onaga with Ermac, the second to defeat and stop his body from doing further harm. 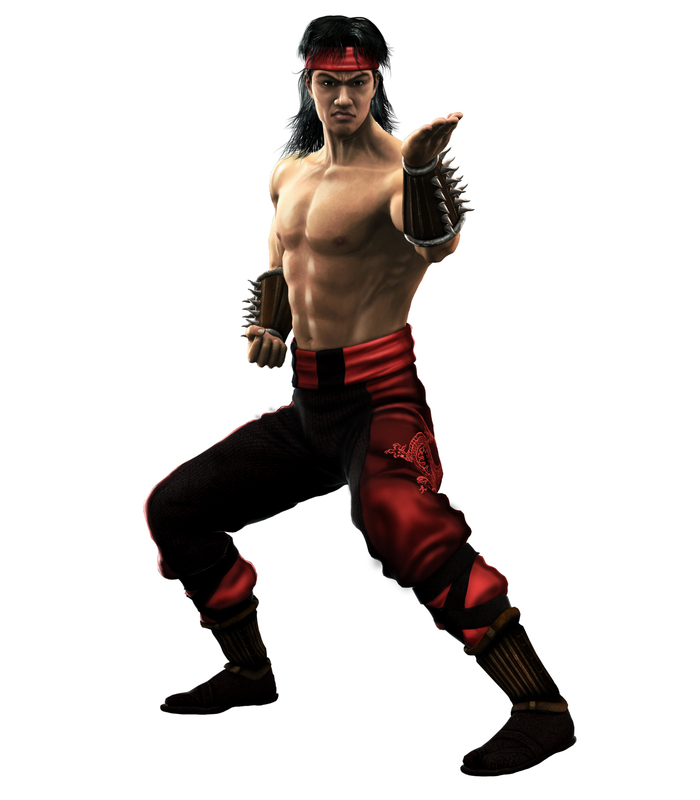 Liu Kang was always a fan-favorite MK character, and in his debut, was a fairly decent homage to the late Bruce Lee. 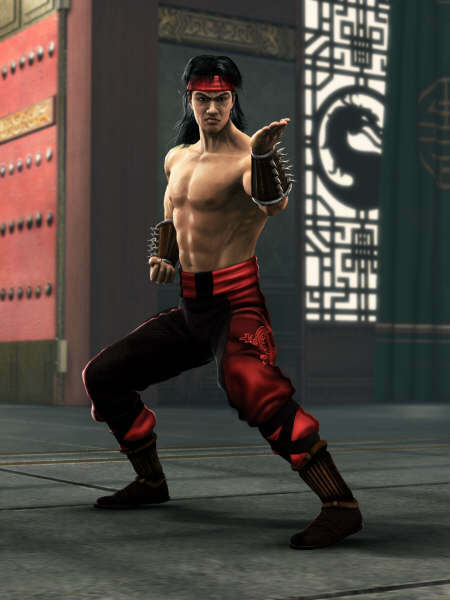 Liu Kang's original MK outfit was a bit on the generic side, but they kept his design pretty fresh and gave him some better outfits in the sequels. After his glory days in MK2/MK3, he never really got any spectacular "new" moves worth mentioning... but his classic moves always managed to keep their appeal. For some reason or another, the dev-team decided it would be a good idea to "kill him off" in MK: Deadly Alliance... it was a pretty epic move. The silly part is, they then decided to just to bring him back in MK: Deception and turn him into a retarded-looking zombie with chains on his wrists... so who's brilliant idea was that again? lol. 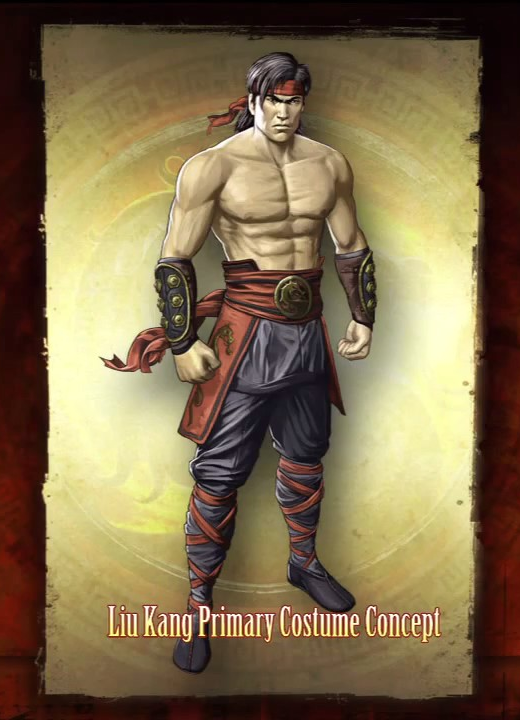 Yeah... well, I guess we're just supposed to forget about all that, since Liu Kang returned as his original self in MK VS DC Universe & MK9, thankfully.